Officials of the investigation department of the Estonian Tax and Customs Board (MTA) at the start of April 2018 detained six persons as suspects in a VAT fraud case connected to fuel, which resulted in concealed tax liability in the amount of nearly 800,000 euros, and three of the suspects were taken into custody at the request of the prosecutor's office, reports LETA/BNS. 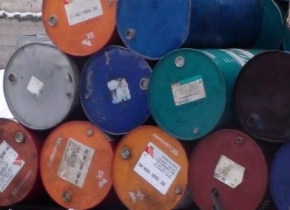 According to Terje Lang, division head at the department, it was established in the course of a criminal investigation that in the second half of 2017 a group of people bought a liquid combustible substance similar to diesel fuel from Poland's excise warehouses directly through Estonian as well as Latvian and Lithuanian enterprises. According to the suspicion, the liquid combustible substance was brought to Estonia in the name of Estonian, Finnish and British companies not as excise goods, but sold as diesel fuel to an Estonian enterprise that holds a fuel sales permit. "To reduce the tax liability as a result of purchase-sale agreements, false data was submitted to MTA and tax liability in the amount of nearly 800,000 euros was concealed," Lang said. Six people were detained as suspects and suspicions have also been moved against two other people. The North district prosecutor's office asked the Harju county court to take three suspects into custody. "Their common characteristic is that they could continue committing crimes if not taken into custody, therefore we needed to request taking them into custody," prosecutor Silvia Kruusmaa said. The court satisfied the request and the three people were taken into custody. The crime they are suspected of is in the first degree and if found guilty they could be sent to jail for up to seven years. The court also seized the property of several suspects in the total amount of nearly 280,000 euros. According to Kruusmaa, seizing criminal profit is the most efficient measure in fighting against economic crimes and it is based on the principle that nobody should get rich by committing crimes. The pre-trial procedure is being carried out by MTA and led by the North district prosecutor's office. According to Land, fuel continues to be a field where committing large-scale tax fraud is still topical and it has a negative impact on fair competition as well as on tax receipts. At present there is no operative overview of fuel transported in rental containers, but the situation should improve as of February 2019 when the fuel handling data collection starts operating, which will enable MTA to manage the data from liquid fuel purchase-sales agreements in real time and react early to risky transactions.